Museum launches Kickstarter campaign to translate and digitize diaries of Holocaust survivors and victims on Anne Frank's birthday. The U.S. Holocaust Memorial Museum has launched a $250,000 Kickstarter campaign to translate and digitize the diaries of Nazi victims and survivors. 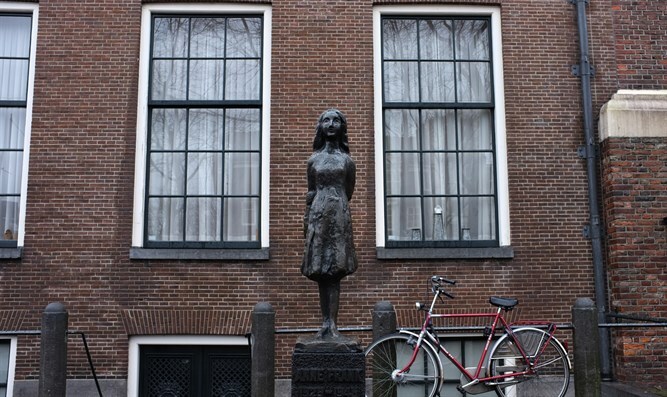 Funds from the 31-day campaign, which started on Anne Frank’s birthday — Monday, June 12 — to commemorate the renowned teen diarist, would allow the museum to translate its collection of over 200 diaries into English and catalogue them. The museum only gets the funds if it meets its goal. The diary collection will expose an array of experiences to the public, including the struggle to stay alive in the ghettos, emotional accounts of survival in concentration camps and “the search for refuge in America,” according to the museum.